Small history lesson: The Muppet Show was a variety programme which ran in the 1970’s and early 80’s, featuring some of the biggest stars of the day as its weekly hosts. 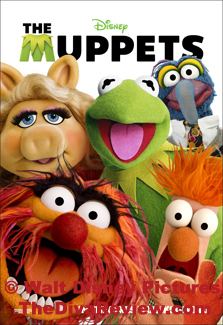 It was the impetus behind the Muppets’ move to the big screen, which counted eight movies produced between 1979 and 2005. The death of creator Jim Henson in 1990 saw the future and direction of the Muppets fall into disarray as different companies came forward to claim a piece of the foam rubber pie. With all the corporate bickering, the beloved characters eventually faded from the public eye. As a result, there’s an entire generation that has no clue about why their parents cherish those crazy puppets so much. 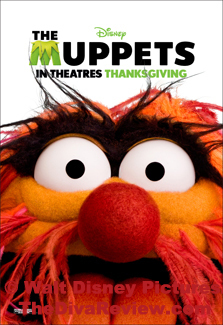 The newest addition to the long fallen fallow Muppets film franchise is a movie made by Muppets fans. 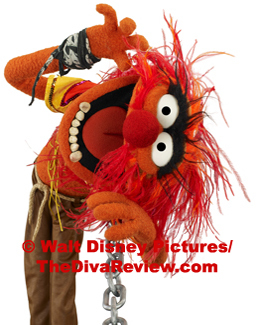 The Muppets celebrates the brilliance and fun Jim Henson’s puppet creations brought to children of all ages across the planet. 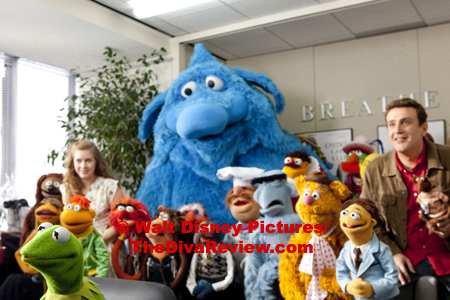 Part of The Muppets’ objective is to act as a primer for those who haven't had the pleasure of acquainting themselves with Henson’s fantastic characters and their neat little show, and the other goal is simply to deliver a film that gives longtime fans a chance to celebrate and relive wonderful childhood memories. Walter’s always been a little different. Growing up in Smalltown, USA with his younger brother, Gary, watching as Gary grows to a man that looks like everyone else while the fuzzy-haired, spongy-complected mite remained a miniscule height; Walter had always suspected he was a little unusual. 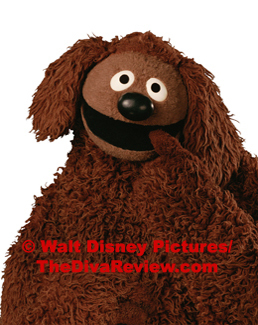 One evening in the mid-1970’s, all Walter’s questions are magically answered as a placard appears on their television screen and a small, green frog puppet pops out of the sign and excitedly introduces The Muppet Show. That moment began Walter on a fandom that verges on worship for Kermit the Frog, Fozzie Bear, Gonzo the Great, Miss Piggy and their cohorts. Ever the loving brother, Gary decides to take a trip to Hollywood with his longtime girlfriend, Mary, and bring Walter along, which isn’t quite the romantic getaway Mary was hoping for. Walter is thrilled at the prospect of being in the same city where Muppet Studios is located, but the abandoned, run-down reality of what has become of Muppets’ HQ is a terrible shock. 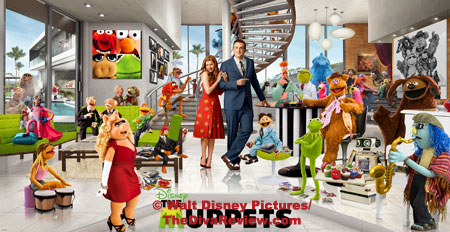 Walter overhears a plot by an oil tycoon to buy the Muppets’ property and demolish it in search of more oil, and as the best Muppets fan ever, Walter wants to try to save the studio. 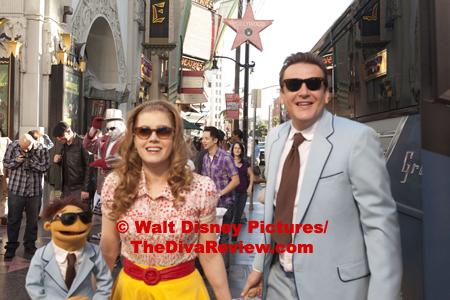 With Gary and Mary’s help, the trio decides to seek out Walter’s idol, Kermit the Frog. 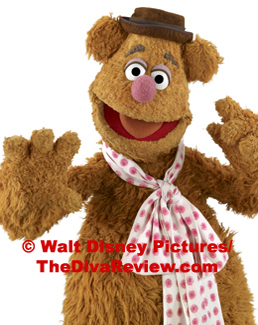 It is another shock for Walter to see how time has moved on for his favourite stars; Kermit exists in Howard Hughes-like seclusion in a Bel Air mansion, while show-biz loving Fozzie works in Vegas with “The Moopets,” a not-so-incredible simulation of his former castmates. 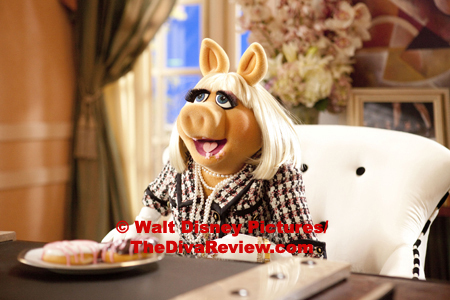 The Electric Mayhem’s volatile drummer, Animal, is in intensive anger management therapy, while in Paris, Miss Piggy runs French Vogue. Have all these old friends grown too far apart to be reunited for one last broadcast to save their old theatre from being demolished? 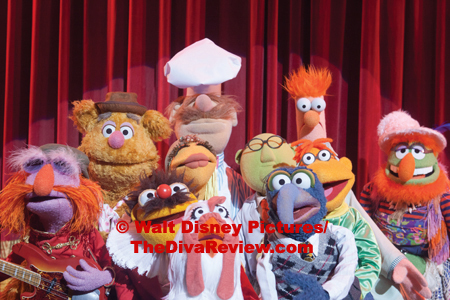 Most worrying is if they do overcome their differences and manage to put on a show, does the public still care enough about The Muppets to watch? 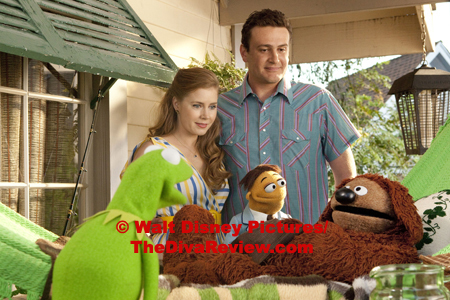 The Muppets is a sweet notion and has all the right intentions, yet somehow doesn’t come together quite as it should. 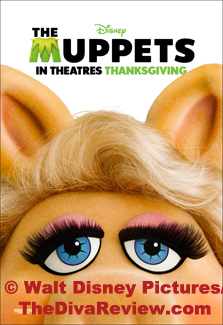 For a popular sensation established on its charm, much of this Muppets venture is somewhat charmless. 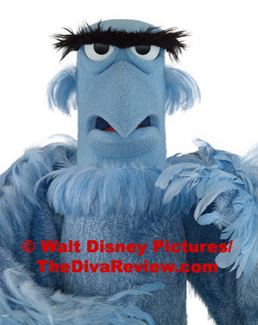 Walter, the newest Muppet and protagonist of our piece is a tremulous, high-strung little widget. 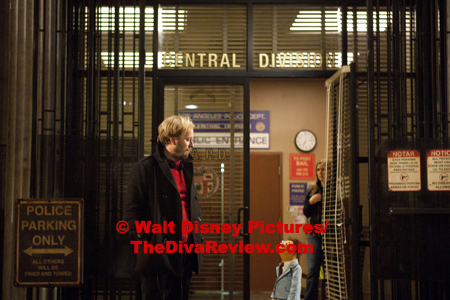 The movie’s subplot of Walter and Gary’s close-knit brotherhood changing due to Walter’s increasing involvement with his idols and Mary’s growing frustration with Gary’s inattention to her is an afterthought. 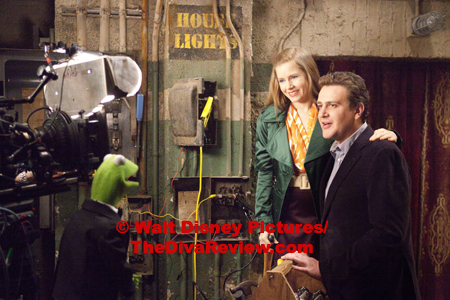 Non-puppet leads Jason Segel and Amy Adams as the wide-eyed, small town couple are also engaging helpmeets for the Muppets. 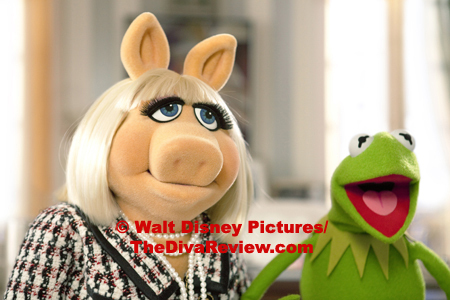 There’s something strangely sparkless about the Muppets themselves. Kermit is in a constant mope, even after his friends and long lost love Piggy have returned to his side. 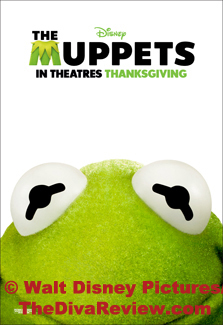 Kermit’s puppeteer makes the frog’s face contort into an odd, pulled-down frown in nearly ever scene (When Jim Henson manned Kermit, he used the trick sparingly to much better effect). 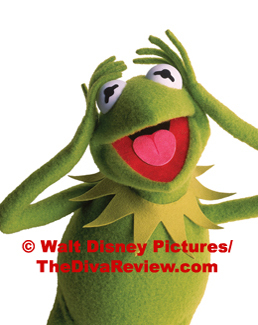 Though Kermit was always the most level-headed of the zany Muppets, this version of him is laid back to the point of comatose. We never see the slow burn into hysterics that used to happen hilariously on the shows. 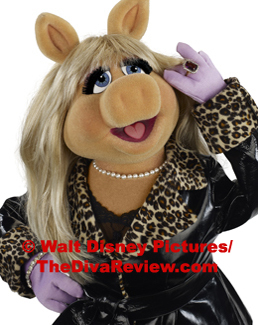 Miss Piggy is dialed way down from her usual histrionics and delivers only one notable kung fu beat-down to a Moopets Piggy wannabe. 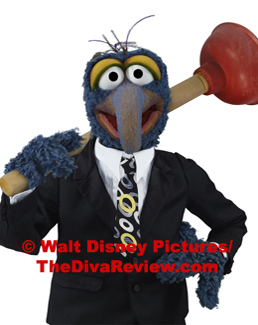 Neither Gonzo nor Animal are as outrageous as we’ve grown up seeing them and even Statler and Waldorf’s balcony-bound heckling isn’t as biting as it was thirty years ago. There’s also the inexplicable inclusion of some random character called “80’s Robot” that’s not funny at all. 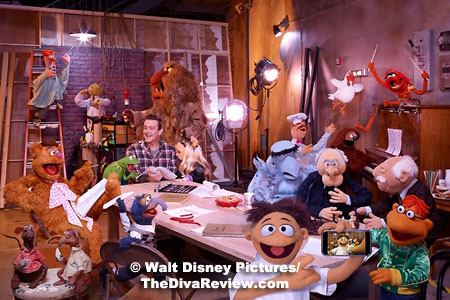 The only time that we get the awaited excitement and bubbly delight we’d expect from a reunion with our favourite foam figures is during the actual Muppet Show telethon segments. The sight of the assorted critters strutting across the stage to the opening bars of the unforgettable Muppet Show theme song makes one giddy as a child. 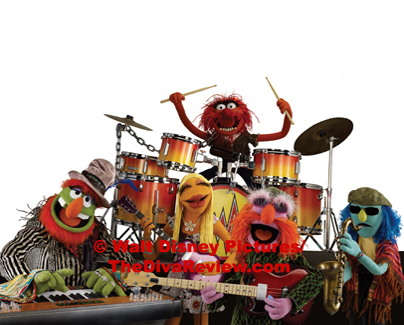 A barbershop quartet featuring Sam the Eagle (my fave), Rowlf, Link Hogthrob and Beaker and their rendition of Nirvana’s Smells Like Teen Spirit is downright surreal. Also pleasantly subversive is Camilla the chicken’s cover of Cee-Lo’s Forget You (Sadly, their version isn’t called Pluck You). 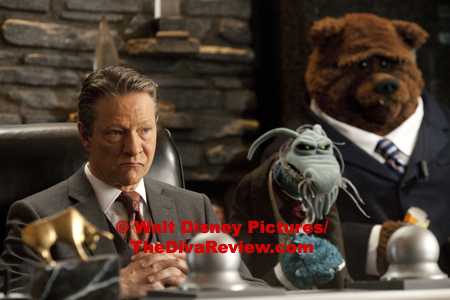 There are the expected star cameos, including Jack Black as Animal’s anger management coach and eventual Muppet Show hostage, er, host. Neil Patrick Harris, who will soon be starring in everything, joins John Krasinski, Selena Gomez and James Carville manning the telephones at the Muppets Studio fundraiser. Emily Blunt’s unselfconscious cameo as Piggy’s secretary at French Vogue is a hoot. 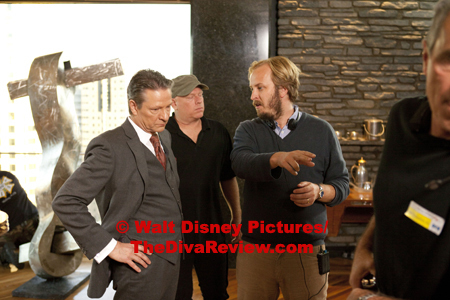 While not quite playing a bit part, Chris Cooper’s rap as the film’s bad guy tycoon might have been better off cut down to a cameo, but I love that they took this ordinarily serious dramatic actor way out of his comfort zone and he seems to be having a ball. 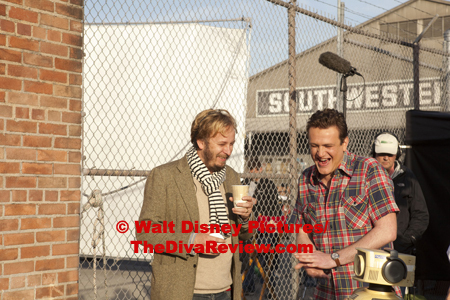 I cannot forget to mention that there are quite a few shots of a banner flying on a lamppost outside the Muppet Studios featuring the smiling face of Jim Henson himself. 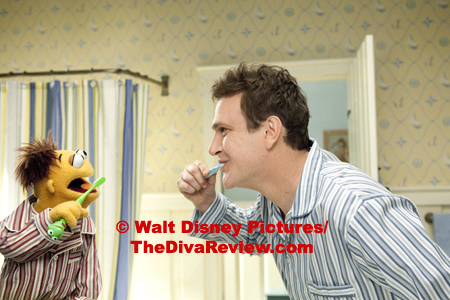 Another fun moment occurs between Walter and Gary’s duet on the song, Man or Muppet, as each sibling decides their destiny. 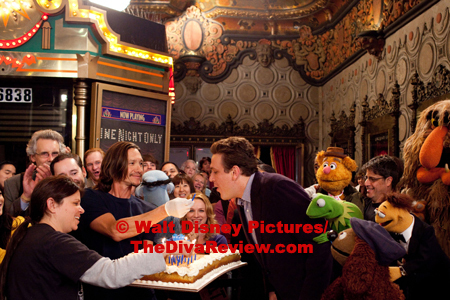 Segel co-wrote the story and his adoration for the subject matter is evident; the film includes references to not only the TV show, but to 1979’s The Muppet Movie, the first picture in the series, and ends with Kermit and Piggy’s duet on The Rainbow Connection, clearly meant to tug at fan’s heartstrings. 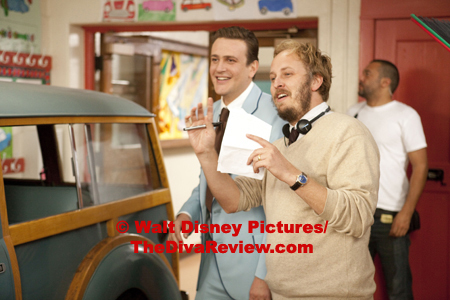 Yet, while Segel embraces all the cuteness and impishness of the characters, the writer known for more risqué fare like Forgetting Sarah Marshall and Get Him to the Greek is extremely respectful of the property. I only wish the rest of the film had been as sweetly outlandish and wacky as those moments during the telethon that so captured why we loved The Muppet Show and those characters so much. 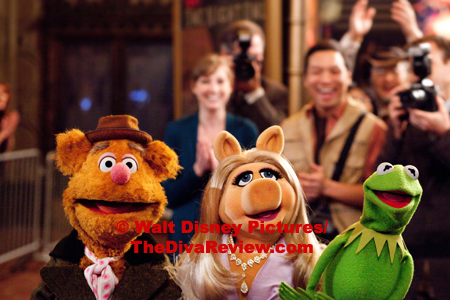 While a bit flat and never quite taking wing the way one hoped, The Muppets hits a sufficient amount of right notes to be a pleasing enough welcome back for longtime fans and a lovely introduction for those deprived of Muppets magic. 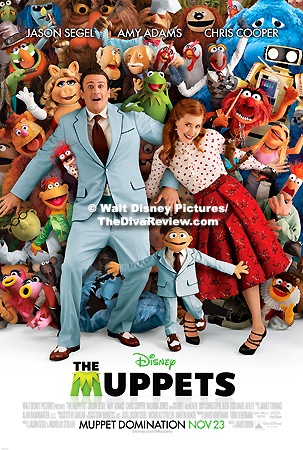 If nothing else, this movie solidly demonstrates why the time is right to bring back a new version of The Muppet Show with Jason Segel as creative consultant.